After an epic and storied 45 year career that launched an era of rock n roll legends, KISS announced that they will launch their final tour ever in 2019, appropriately named END OF THE ROAD. The initial announcement was made a month ago on NBC’s America’s Got Talent which sent the internet into overdrive with fans hoping their city would get one final KISS show. 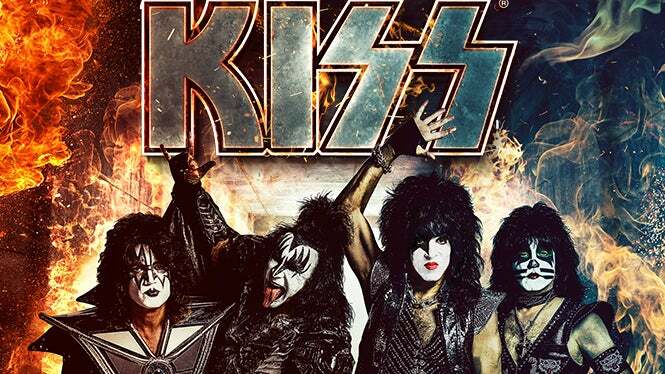 KISS will be offering VIP experiences and special KISS Army fan presales. KISS Meet & Greet Experiences will be available beginning Tuesday, October 30th at 10am through kissonline.com. KISS Army fan club presales will begin Wednesday October 31st at 10 am also through kissonline.com. Citi is the official presale credit card for the End of the Road World Tour. As such, Citi cardmembers will have access to purchase U.S. presale tickets beginning Wednesday, October 31 at 12:00pm until Thursday, November 1 at 10:00p through Citi’s Private Pass program. For complete presale details visit citiprivatepass.com. Tickets to the general public will go on sale starting Friday, November 2 at 10am local time at TargetCenter.com. Show Date/Time: Monday, March 4 at 7:30pm. Doors open at 6pm. On Sale Info: Tickets on sale Friday, November 2 at 10am at the Target Center box office, online at TargetCenter.com or by calling 888-9-AXS-TIX.